N Chandrababu Naidu and his Telugu Desam Party (TDP) are furious over what he says is grossly insufficient allocation for Andhra Pradesh in the Union Budget, which has strained ties between the BJP and its biggest ally in the South. Chandrababu Naidu dismissed the opposition's demands to bring a no-trust motion against the centre. 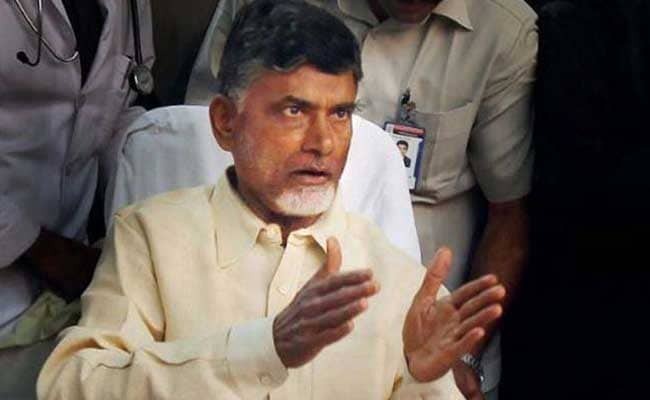 Andhra Pradesh Chief Minister N Chandrababu Naidu has said he is prepared to move a no confidence motion against the BJP-led central government with the support of other parties to get "justice" for the southern state, but only as a "last resort". Mr Naidu and his Telugu Desam Party (TDP) are furious over what he says is grossly insufficient allocation for Andhra Pradesh in the Union Budget, which has strained ties between the BJP and its biggest ally in the South. "But a no-confidence motion should be the last resort. We will continue our fight for justice to Andhra Pradesh. If that doesn't happen, we will muster support from other parties and move the no-trust motion," Mr Naidu, the TDP president, announced at a meeting in Vijayawada on Monday. "The Centre did nothing for us in the last four years. As Chief Minister, I will not tolerate if injustice is done to people. Whether they (the Centre) will help us with a special category status or a special economic package is up to them," he said. Earlier in the day, the Chief Minister had dismissed demands by the opposition YSR Congress and Jana Sena to consider bringing a no-trust motion against the centre, saying that the Narendra Modi government enjoys full majority. "Some are asking for resignations. If our MPs resign, who will fight for our state? No confidence motion should be the last resort. We will not simply put such motion. It needs at least 54 MPs. But we don't have that number," Mr Naidu had said. YS Jaganmohan Reddy, who heads the YSR Congress, then declared that his party would move a no-trust motion if the TDP did not do so. "Does he (Jagan) have head and tail? If you move a no-confidence motion, they (BJP) have majority. It will be defeated and you can't talk anything for six months on the issue," Mr Naidu said in a caustic response. "First there should be a debate...we have to muster support...Injustice was done (to Andhra Pradesh) right inside parliament. Now we are demanding justice from the same parliament. When our minister (YS Chowdary) demanded in parliament that justice be done to the state, they (YSR Congress) demanded his dismissal. Now they are talking about no-confidence," he said, accusing Jagan Mohan reddy of trying to gain an "upper hand" with the no-trust talk. After Mr Naidu's threats of a divorce last month, the BJP's top leaders had reached out to the TDP, with union home minister Rajnath Singh holding talks with the party and also dialing the Chief Minister.